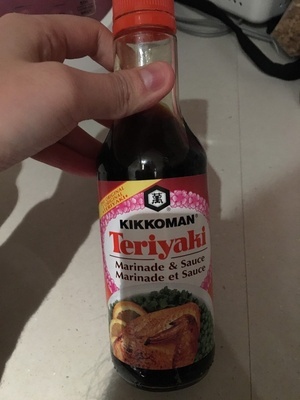 Brands: Kikkoman, Kikkoman Sales Usa Inc. Naturally brewed soy sauce (water, wheat, soybeans, salt), wine high fructose corn syrup, water, vinegar, salt, spices, onion powder, succinic acid, garlic powder, sodium benzoate: less than 1/10 of 1% as a preservatives. Product added on November 26, 2015 at 5:26:30 AM CET by date-limite-app. Last edit of product page on October 16, 2018 at 1:28:41 AM CEST by date-limite-app.